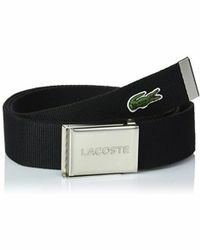 Tennis player and inventor Rene Lacoste created his first piece for his eponymous label in 1904 'the now iconic polo shirt. 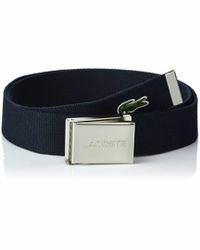 A sportswear label with an instantly recognisable modern aesthetic, collections from Lacoste feature bold colours, clean lines and simple shapes. 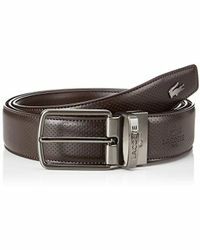 Still a sportswear label first and foremost, this French heritage brand has been celebrated for its fashion lines just as much as its practical apparel. 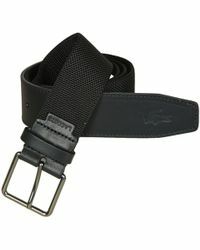 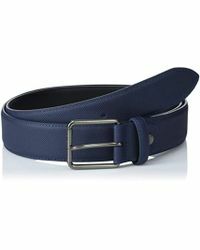 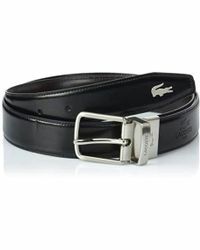 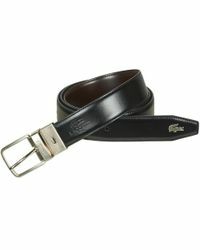 From classic leather to casual canvas styles, men's Lacoste belts are the epitome of functional elegance. 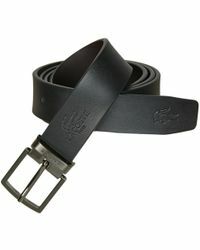 Featuring the brand's signature crocodile logo, these accessories are contemporary, cool and perfect for everyday wear.